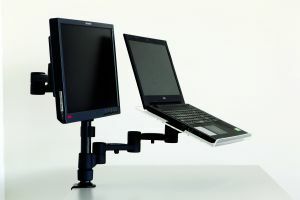 The Agilis Computer Monitor Arm is a multi directional computer monitor support arm to support single or multiple monitors. Since 2002 the Agilis Monitor Arm has been proudly produced in South Africa and has been an ergonomic solution to assist in the prevention of back and neck strain. Agilis is manufactured for all monitors that have a Vesa Mounting pattern. It is designed to be easily installed in any environment by clamping or bolting on the desk or extra desk space can be provided by wall mounting. Due to strength requirements, we only utilise virgin materials in this product and manufacture in a green manner by ensuring a zero waste program. All Agilis parts are recyclable. Not just a screen holder, Agilis can hold screens, laptops, notebooks and ipads. Change the colour of your arm to suit your environment. White, Silver or Black are available. The Agilis Monitir arm is fully adaptable by its modularity. Build-on or shrink its capabilities. 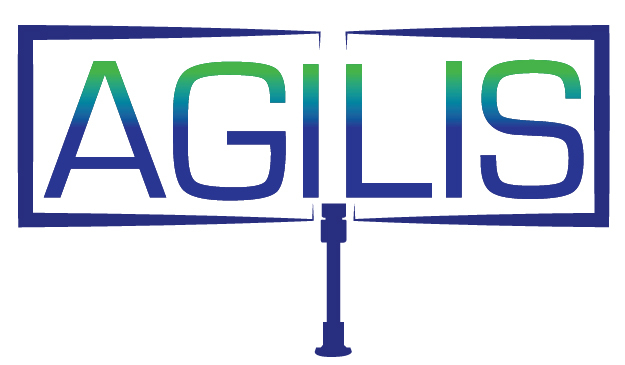 Agilis can hold from 1-4 screens with a maximum weight load of 9kg.